A sedan type vehicle parked on the roadside caught the attention of citizens in the city of Milan, Italy. 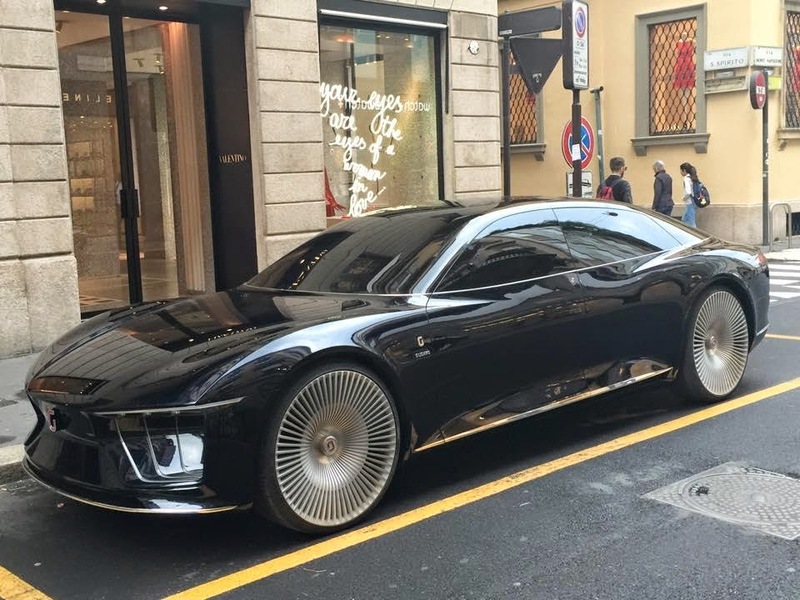 A car called GEA Concept is a sedan of Italdesign Giugiaro which introduced in the Geneva Motor Show in Switzerland in March 2015, but was parked on the roadside without cover, as quoted from Inautonews on Sunday, May 3, 2015. 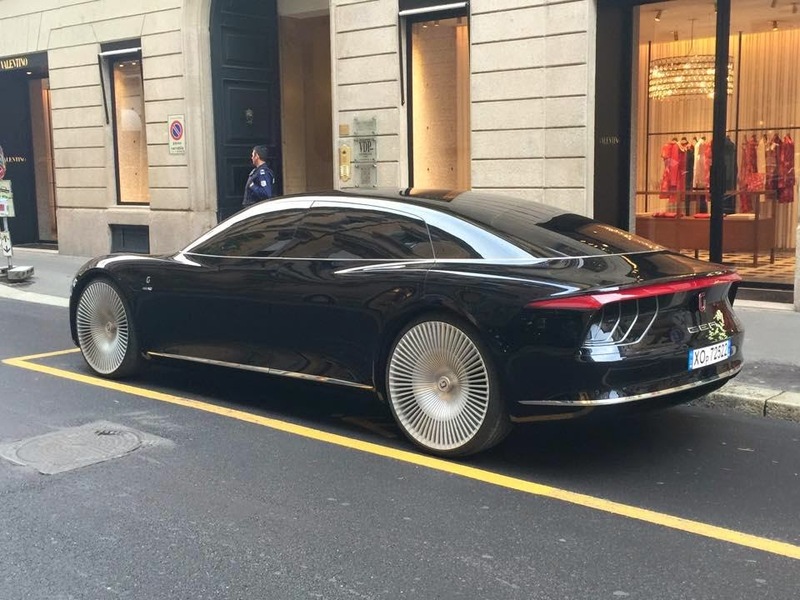 The car looks has 2-pair of rims that designed with 60 spokes and a diameter of 26 inches. GEA body part looks more bigger than the sedan in general with 5.37 meters long, 1.98 m width, and height of 1.46 m.
This car is designed by Wolfgang Egger, the Italdesign Giugiaro's Head of Design. Even though it looks big, these vehicles are made of lightweight materials such as magnesium, carbon fiber and aluminum, so it has a weighs only 2,000 kilograms. In GEA cabin there are two touch screen size of 19 inches. The front passenger seat can be rotated 180 degrees, to allow it to deal with passengers in the back seat. The car also features a smartphone connection to entertainment features, GPS, and weather conditions. This sedan power source comes from four 142 KW electric motors. The power output reached 764 hp with a maximum speed of 250 kilometers per hour (155 mph). The battery can be recharged through the induction system, thereby eliminating the need for cables and electric sockets.